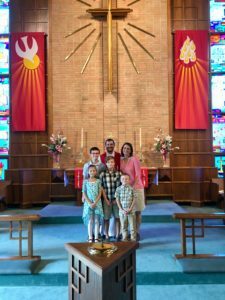 Pastor Michael Killinger currently serves Bethel Lutheran Church and School. He accepted the call to serve here in August. His family made the move from Minnesota at the end of August and he was installed on September 2, 2018. His family includes his wife, Jessica, and their four children: Isaiah, Silas, Ella and Lucas. We are thankful that God has provided a new shepherd to lead his people here at Bethel.